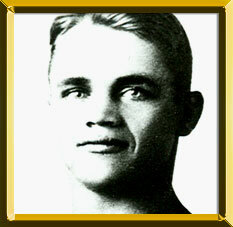 Kid Williams, who fought for nineteen years, is considered one of the top bantamweights of all time. Born in Denmark, Williams came to the United States with his parents in 1904. The family settled in a poor section of Baltimore, where Williams found work as a newsboy, often fighting for the choicest spots to sell papers. Williams's skill with his fists attracted the attention of Baltimore matchmaker John Barrett, who persuaded the sixteen-year-old to enter his first professional match. The fight was held at Baltimore's Gayety Theatre in 1910. Williams attacked his opponent, Shep Farren, in an all-out fury and knocked him out in the fifth round. After this victory Barrett gave Gutenko a more "American-sounding" name to use in the ring. Flamboyant manager Sam Harris soon latched onto Williams and controlled him-and his earnings-until the end of the fighter's career. Williams churned through a succession of opponents until he was matched against the more experienced George ("K.O.") Chaney, who handed him his first loss in 1911. In 1912, Williams fought bantamweight champion Johnny Coulon in a non-title bout. The no-decision fight was deemed Williams's win by the newspapers, and the fans agreed, loudly cheering as he dominated Coulon in eight of the ten rounds. In 1914, Williams KO'd European bantamweight champ Eddie Campi. Five months later, he met Coulon again-this time for the world title-in Vernon, California, then a hotbed of boxing. The match was slated to go 20 rounds if necessary, but Williams wasted little time in vanquishing Coulon. By the third round, bleeding and with two fractured ribs, Coulon fell to a right cross to the chin. Williams, at 21, was bantamweight champion of the world. He went on to face some top talent, fighting a tough ten-round draw with Pete Herman in New Orleans in his first fight after winning the championship. He lost a no-decision bout to featherweight champ Johnny Kilbane in 1915 and later that year, in St. Paul, lost on a controversial foul to Johnny Ertle. Williams met Herman again in New Orleans 1916, this time for the title. Herman clearly had the best of the fight, which was nevertheless declared a draw by referee Billy Rocap, a friend of Williams's. A year later, the two were back in New Orleans for another title challenge by Herman, who won the twenty-round decision. Williams continued to fight for another twelve years. A tiny powerhouse at 5'1", Williams had an aggressive, attacking style which made him a formidable opponent to the end of his career. A profligate spender, Williams was also often bilked out of a fair share of his purses. He left the ring almost as poor as he entered it. He held jobs as a taxi driver, salesman, and steel worker. In 1934, he was sentenced to a year in jail for failure to support his wife and children. He tried, at the age of 42, to make a comeback as a boxer, but the Maryland State Athletic Commission refused to issue him a license. In 1957, Williams was arrested for drunkenness. He died in Baltimore in 1963.